Did you know that October is National Pizza Month? We rarely order pizza out anymore, but we love to make our own! We try to have pizza or something pizza related about once a week because it’s pretty cheap to do it homemade. 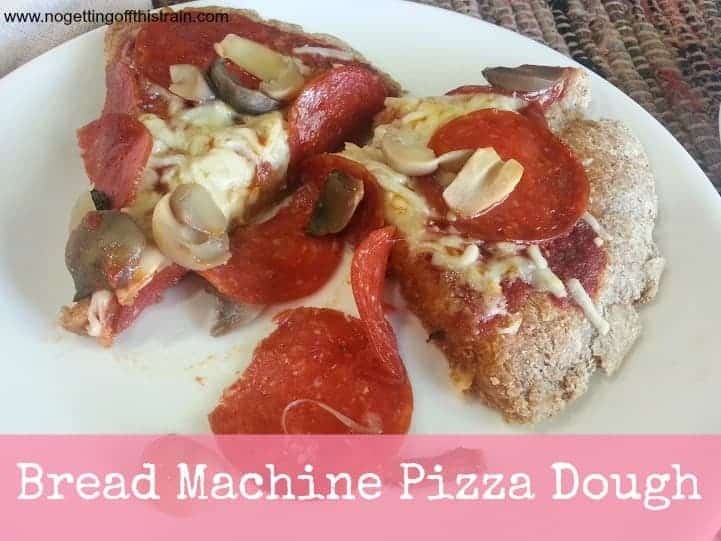 When I bought a bread machine, I was excited to find out I could make my own pizza dough and save even more money! 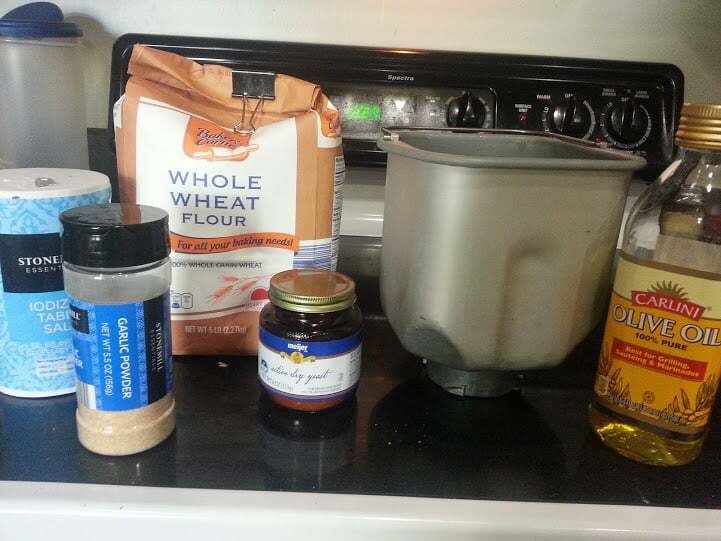 This recipe is my favorite, and I’ve tweaked a couple things like using whole wheat flour and adding in some garlic powder for a little extra flavor. This recipe is also pretty versatile; you can use it for pizza or calzones, or pizza roll-ups. 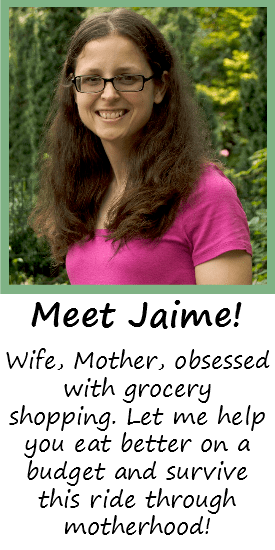 Here’s what I do! 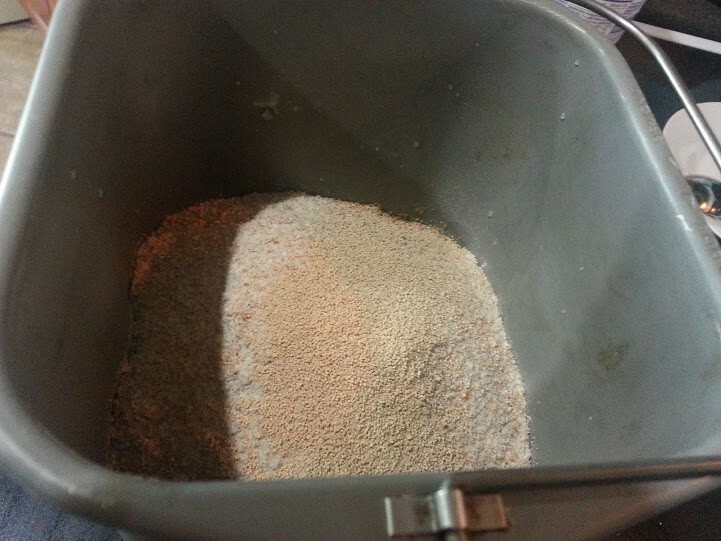 Start by adding the water, oil, salt, garlic powder, flour, and yeast, in that order or in the order according to your bread machine manufacturer. Set the bread machine setting to “Pizza Dough”, which on my machine takes about 50 minutes. Once it’s done, separate the dough into two equal-sized balls and cover with a towel, letting them rise for about an hour. Once the dough has risen, roll out each ball into a flat circle. I tried brushing some melted garlic butter on the crust to see how it would taste this time. The crust had a nice buttery flavor, but not so much garlic! Maybe I’ll add more next time. Add your favorite pizza toppings and bake at 400 for about 12 minutes, longer if you want a crispier crust. Check out my recipe for homemade pizza sauce! 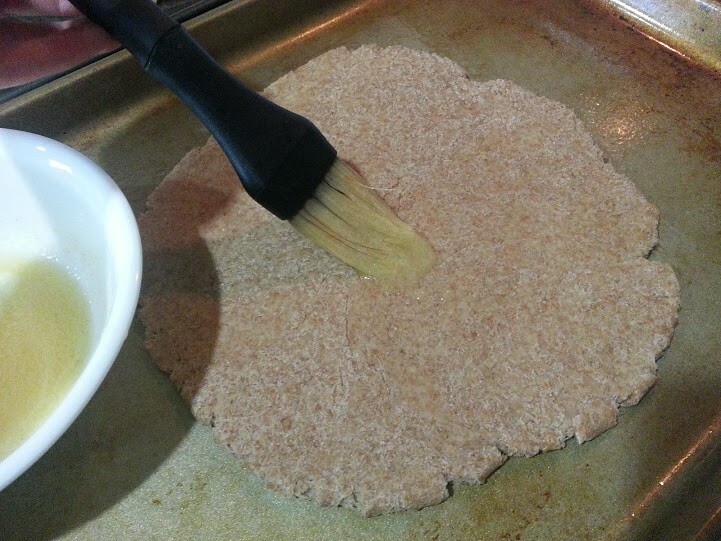 This crust is simple to make and only uses a few ingredients! Definitely add this to your recipe list. 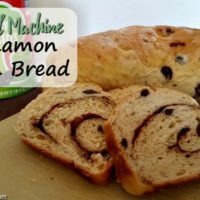 Add all ingredients to the bread machine in the order recommended by the manufacturer. Press the "Pizza Dough" button and let it run its cycle, about 50 minutes. 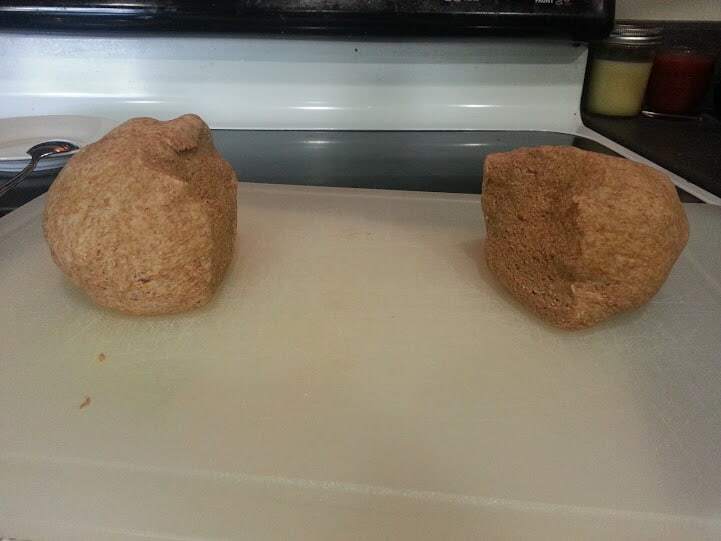 Remove dough from the bread machine and divide into two equal balls, then cover and let rise for about an hour. 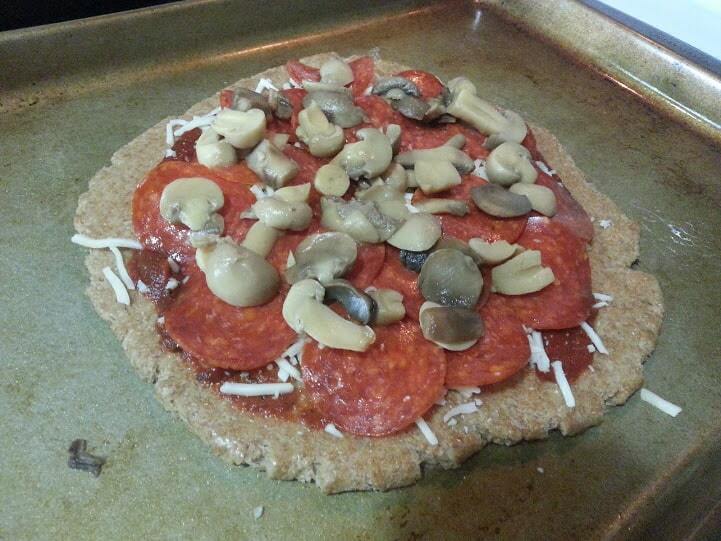 Roll each ball into a flat circle and add your favorite pizza toppings. Bake at 400 for 12 minutes, more for a crispier crust.